Yup. I get this right before af too. Ooh good improvement! 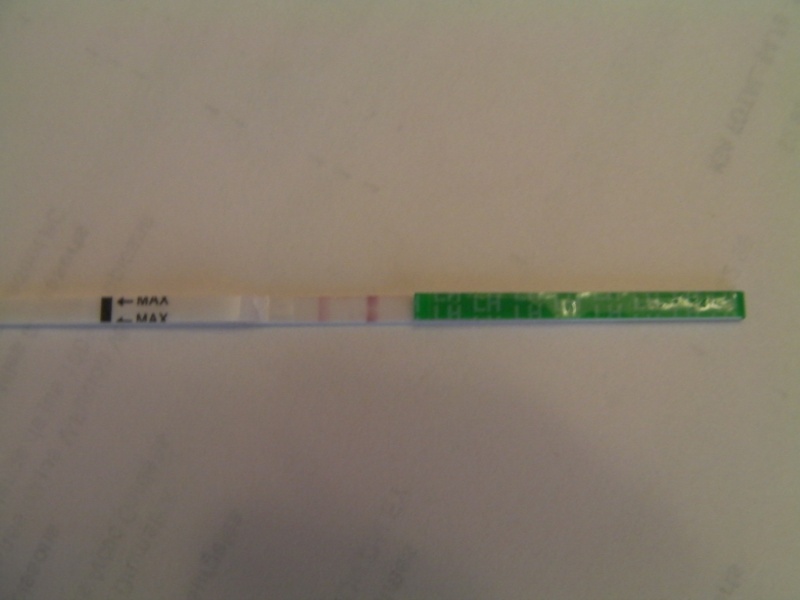 For some reason I usually have a darker opk on 8ish dpo and then super faint until about 2 days before af shows. But I'm spotting brown... And it looks somewhat red. Bahaha bfp!! I don't usually worry about spotting before AF is due. Well MARCH on over. Sorry that was lame. Yeah it is. Just a txt suprise. I got a free sample of nutella. Howd they know I was pg? lol. COngrats Sarah!! Got the text susy Cant say i know what im looking at on that test, i see a white line and the only second pink line i see is really close to the dark one but I believe you two You know more than i do about pee sticks. lol. She changed the pic. post the original pic again!! thats better!! congrats! we need the jumping men now.